After featuring this baby in my skincare rescue edit, I thought I’d give an in dept review and explain why I love this mask so much.. 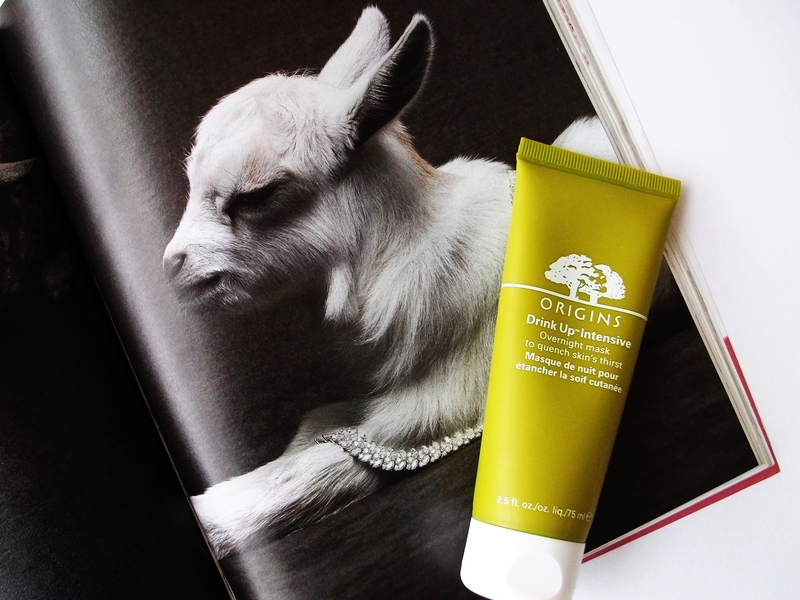 The Origins Drink Up Intensive Overnight mask is perfect for dehydrated skin, no matter what your skin type is (I have normal to dry skin in winter and it tends to be a little more oily in summer). It comes out as a white thick cream that smells so good even my brother asked me what it was. I have the small size, 75 ml, while the big one is 100ml. I usually massage it gently onto my skin after my usual routine and leave it there all night. Sometimes, if I feel my skin really needs it, I like to apply my usual moisturizer and then I continue with the mask. When I wake up, my skin feels soft, hydrated and brighter. As I said before, It is all kinds of love for all skin types, even sensitive ones like mine –yes, my skin skin is a little bit of everything. The worst part? The price. It is not the cheapest, but it is definitely worth it. And you are also worth it. The best for the best..